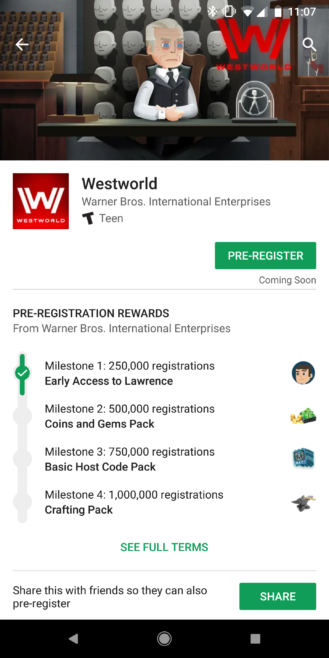 The Play Store now supports reward tiers for apps in the pre-registration phase, allowing developers to entice potential customers to pre-register for more goodies once the app launches. It's not a new concept, but we've never seen it on the Play Store before. Ordinarily, you'd just tap the 'pre-register' button to be notified, and that would be that. 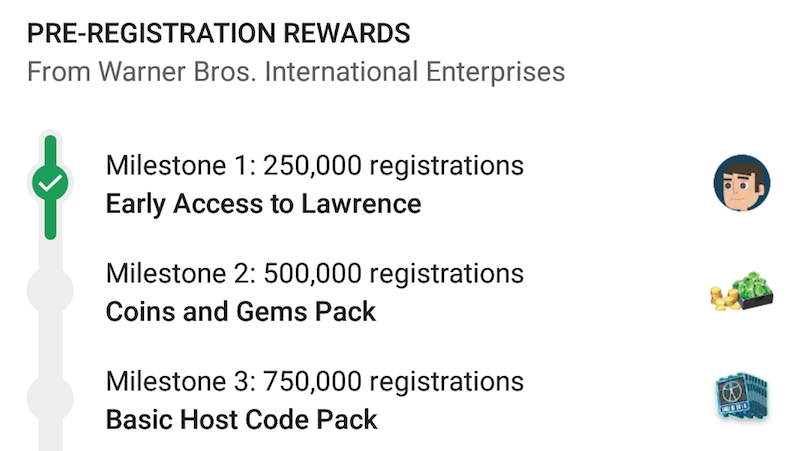 But with these 'milestones,' developers can grant rewards depending on how many people pre-register. The Westworld game, which opened up for beta testing earlier this month, is now in the pre-registration phase, and Warner Bros. is taking advantage of this feature. These tiers are only visible via the Play Store app and can't be seen on the web. 250,000 registrations have already been attained, meaning that those who pre-registered will get early access to the Lawrence character. The next reward, a 'Coins and Gems Pack,' will be given out at 500,000 registrations. A 'Basic Host Code Pack' will be unlocked at 750,000 registrations, and a 'Crafting Pack' will be handed out at 1,000,000. The 'See full terms' button is basically useless, only showing a paragraph about the basics of the rewards. 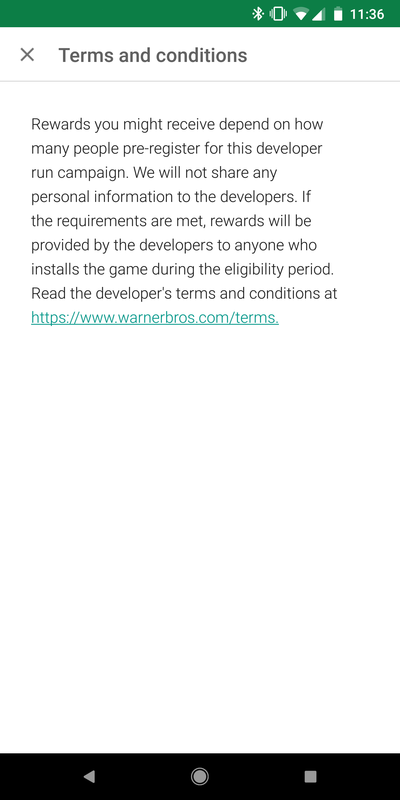 Let us know if you've seen this implemented on any apps previously, or if there any other apps currently in pre-registration that use this system. 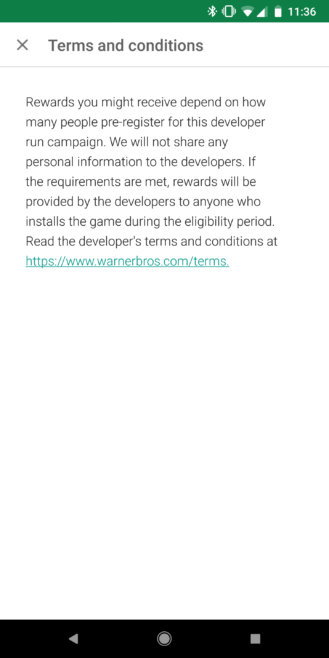 It turns out that we first spotted these pre-registration reward tiers in a teardown of the Play Store app last year, though this is the first time many of us are seeing the system utilized. In any case, more developers should take advantage of them.